Minimum car rental period is 3 days, with unlimited mileage. Our rental cars can only be driven in North Cyprus borders due to government rules and regulations. Road map of North Cyprus will be supplied at the time of delivery. Payment should be made at the time of delivery. Payment can be made in any curreny. We accept all credit cards. Mail order system is also available for those customers who willing to pay before arrive. Petrol is not refundable. We can deliver the car with full tank of petrol and add the cost to the total price or you can leave the tank as you find it. There is no extra charge for North Cyprus Ercan Airport car rental. In North CyprusrRent a car services do not have offices at Ercan Airport. We will deliver the cars on request. Please make sure that you gave us correct flight time and date. The hired car must be returned, in the same condition as when rented. The renter do not call police to keep an accident report, in case of an accident. In this case, Trip Rent A Car Ltd should be informed immediately. 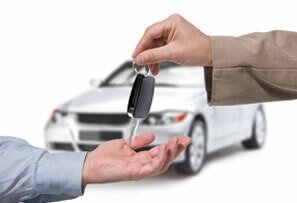 The renter allows to other party to drive the hired car that his/her name is not written on the rental agreement. The renter do not obey the traffic rules in general. Driver should be at least 25 years old. All national and international driving licenses are accepted as they are valid. All our cars are right hand drive and driving is on the left. All traffic fines incurred during the rental period will be at renters responsibility. Baby seat or booster seat. Car wash during the rental period. If the hired car should be returned before the agreed date and time, the renter does not have right to ask for refund for remaining days. If the renter wish to extend the days of rental car, Trip Rent A Car customer service should be informed at least 24 hours before the ending the date. Otherwise extension may not be acceptable. Cancellations and amendments must always be made directly to Trip Rent A Car.. Amendments to bookings are free of charge.No extra charge for cancellations.